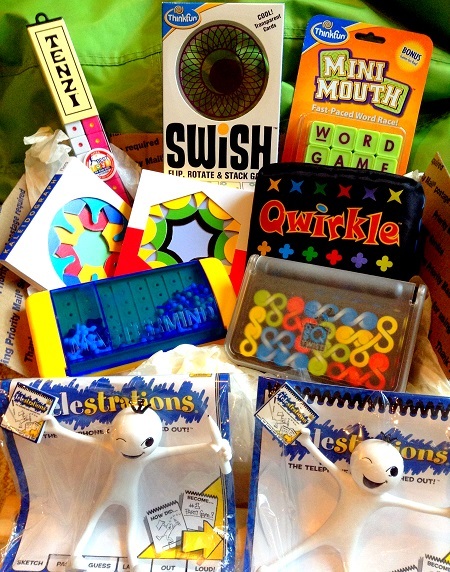 Toys As Tools Educational Toy Reviews: TOP TRAVEL GAMES (Pt. 1) + GIVEAWAY ($100 Value): Skills Should TRAVEL Outside of School! First Read My Code: Y=YES; N=NO; S= Sorta takes some maneuvering *Please read this part of the story with a grain of salt. Everyone is different. Sometimes I go a bit out of my way to make something work as a travel game. MENSA award-winning Qwirkle, with its colorful stars and circles, doesn't look like a sassy game that encourages you to make the most out of your move but that is exactly what it does. It rewards players for thinking ahead, taking a bit of a risk, and also for looking out for yourself. 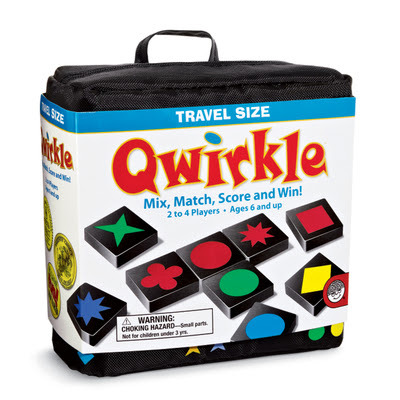 I've outlined the benefits in reviews for Qwirkle and Travel Qwirkle but if you are in a hurry, think Scrabble without the letters. 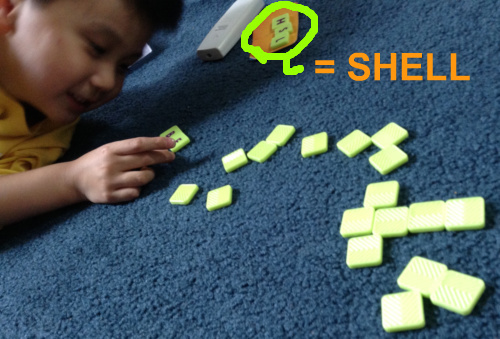 Pattern-thinkers will like Qwirkle so will the uber-competitive people like #1 Son and myself... shhhh. don't tell anyone, ok? 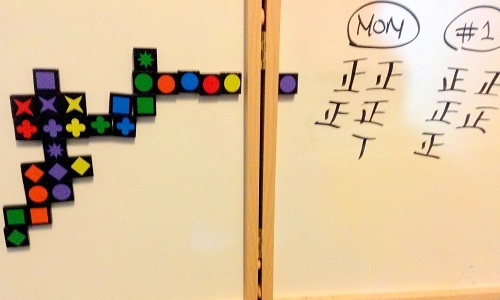 1/2" Magnetic tape cut into squares fit easily behind a Travel Qwirkle piece. Round magnets with adhesive backs will work too! 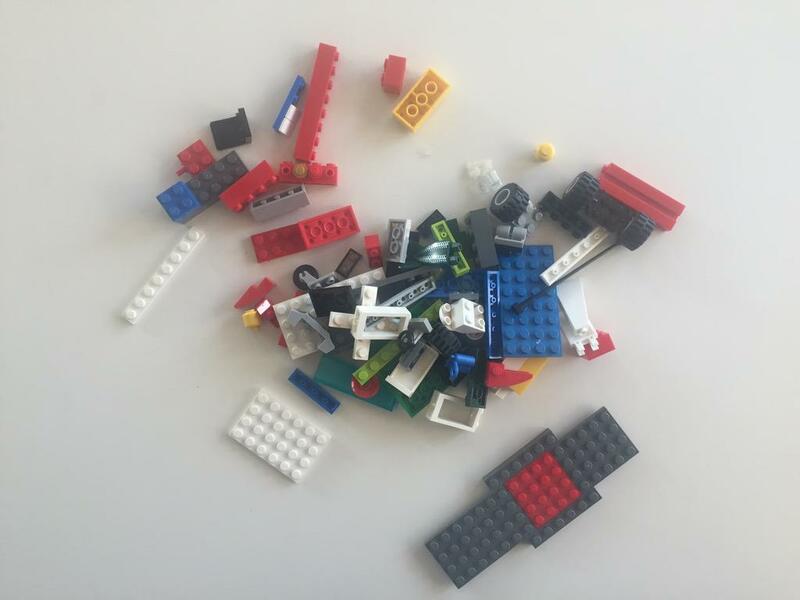 It doesn't add too much weight to the game and yet it will help you lose less pieces over time. Play on the door of your hotel room- lots of space there! Qwirkle Travel isn't necessarily a car game but if you are able to attach magnets to the back, you can play Qwirkle on any metal surface! But, avoid hot car doors, okay? Instead bring a magnetic dry-erase board or even a flat cookie pan! What? The cookie pan won't be big enough? Then, just consider the borders a true limitation for scoring to make it even trickier! My little one loves Mastermind! He's terrible at it now but he's only six.... he adores the travel size. Mastermind is an awesome game that makes for an awesome travel game too. The object of the game is to break the code of the codemaker. This game sharpens their logical reasoning skills, (if not this, then maybe it's that, but it can't be this..) I am going to be writing a more extensive review on Mastermind soon (with help from Dr. Gayle Herman) but I wanted to make sure you knew that the travel edition is great because not only does it have the cutest pegs but the travel size is very lightweight and it locks very tight so you don't have to worry about dozens of little pegs swimming around your bag. Note: Travel Mastermind has eight rows (chances for deducing) whereas the original has ten rows. Of equal importance is that Mastermind is a two-player game. You can not mastermind yourself in any way. It's very intimate and that is not a bad thing when feeling close and bonding are part of most family vacation goals. 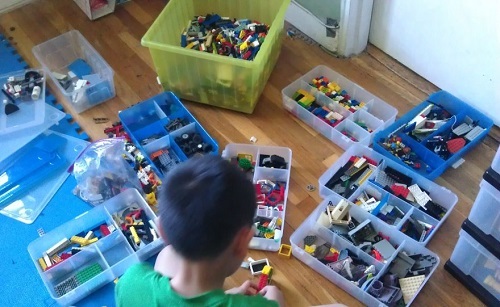 How do you teach spatial reasoning during summer vacation? How about packing your stuff before and after your holiday. It's a good lesson for the kids. There's an added challenge if shopping is a vacation activity for you. 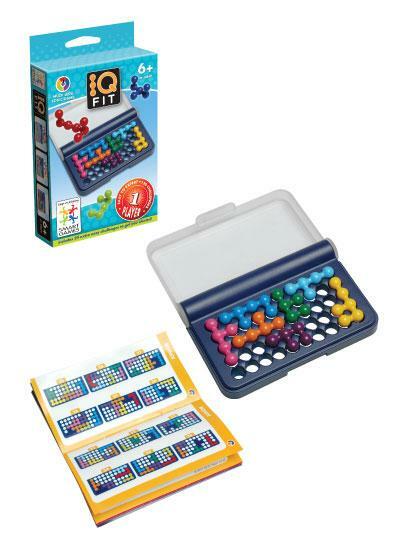 IQ Twist and IQ Fit are not particularly travel-sized games but they are actually quite small in size anyway. However, only the size is small because solving all 100 puzzles in either game is no small feat. 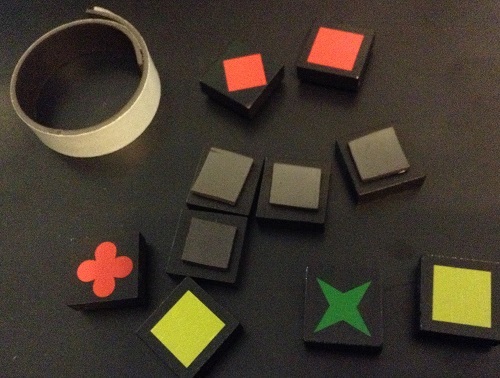 Basically, you are given a scenario and you must complete the puzzle by fitting all the pieces back onto the board but twisting and turning things. What I love about this game is the design. The puzzle and its cover is very sturdy. The pieces are made of a durable and smooth plastic that shine as much as the day I first got them. If you are a logic puzzle superstar, go for IQ Twist. 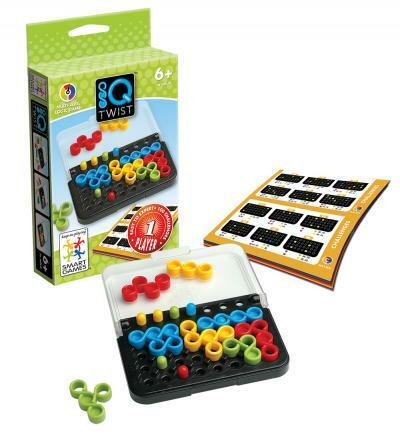 I think IQ Fit travels better than IQ Twist because the absence of pegs but IQ Twist is quite the classic. Seriously, two math teachers came up with this idea. I wish Swish could be part of the state tests. Such standards may not be "common" but you can definitely consider them "core" math skills. Am I right or am I right? Why is this a travel game when you can't play in a car or restaurant? Well, how about the fact that they are waterproof? While I am not sure if it was purposely designed for that but this is one game that you can play near the pool and not worry that someone will start dripping pool water on your game. 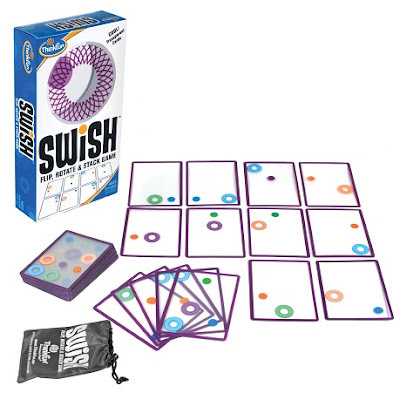 You can read more about Swish here but just know that any game that satisfies my kid's need to do acrobatics in his mind is a true winner in our house. It's not just about math. To me, doing mental gymnastics will help him finish visualizing anything he wants to do. I know he has good visual-spatial skills but they have to keep up with his imagination and that appears to be no small feat. The fact that it is a portable lightweight sturdy stack of cards that come in a drawstring bag makes them a front runner for family getaways. 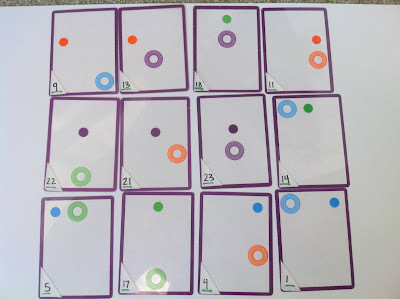 Look at the bottom of the article in this link to find a 12-card Swish puzzle that can be done as long as you have sufficient space (and patience). Don't look at the answers until you've given it a shot. Me, I can't even set up the puzzle (you have to identify these 12 cards out of a deck of 60). My working memory is horrendous but one day, I will beat you, you big Swish bully! I find that this is best when it's social. When the maker finds an image that speaks to her, she must show her creation right away! Not just talking about the kid here. Grandma, you, and teenage daughter too... you'll all be hooked especially if you get to show what you made immediately. The first time I played with Kaleidograph, it was online and I think it was 1 AM. I was tired but curious and it was so fun to make these beautiful images, just by placing one plate over another. Forty-five minutes later, my sleepy eyes turned into intensely alert eyes. I couldn't stop. It was oddly addictive and so I asked to see it right away. 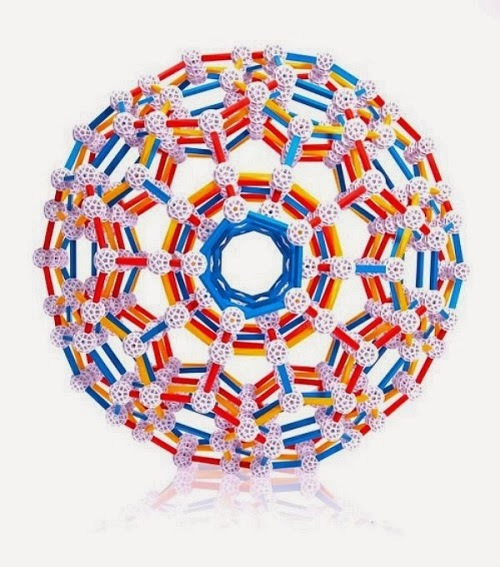 (Stay tuned for review with Petra Pankow) The great thing about open-ended toys is that there is no wrong answer. You can just keep going and going and going. 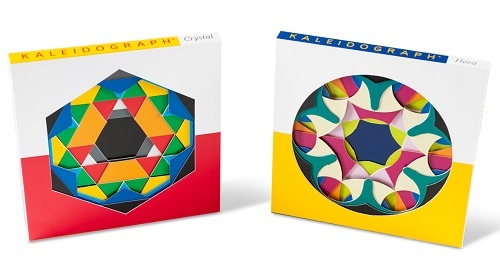 We stretch limits with such toys just as we do during our vacations but stopping to see what you've got and being in the moment is something that Kaleidograph can let your child practice over and over again. Number 6, has excellent drawing skills. I was really impressed with this design she made. It's hard to be so simple but look how elegant this is. She mixed the Crystal and Flora sets here. In fact, the sets in the prize package photo up above has also been mixed... those darn kids... who am I kidding.. it was me. The great thing is that kind of mindfulness is useful during these dreamy vacations aren't they? Do you really need to eat ice cream three times a day? Must you go for another dip in the pool again? You look soooo tired! Should we really spend another twenty bucks in the hotel arcade? No, right? Yeah mom, you're right, so you are not going to buy that game in the gift shop, right, we brought enough from home, didn't we? 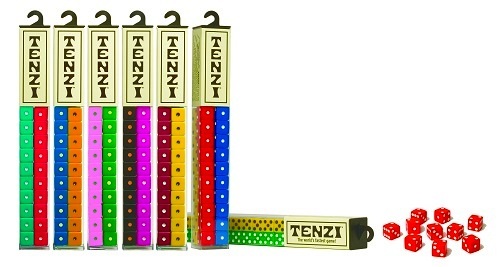 TENZI has been quite popular with TAT readers! I love the TENZI story! Here's another game that is not a travel game but still, you'll love traveling with it. It's the kind of game that you can play 10 rounds in fifteen minutes. I feel that fast-paced games are good for quick breaks in-between activities. Making amends after a vacation-induced argument (stress from trying to have too much fun) can also be achieved via these fast-paced games where if you sulk, you'll lose! I don't want to make this a betting thing but I'd be tempted to bet some ice cream on winning (of course, if I won, they'll still get some but no topping!) You can read more about TENZI from my review but just know this, It is great to be able to play games where you can just start playing right away and if you are in the hotel lobby because your little brother is taking a nap then you can bring your TENZI and watch your child make fast friends. At the very least you'll get some interested peekers. If grandparents are included in your vacation, TENZI will be really fun for the whole group. Either way, it's an icebreaker and as your kids get older, the one thing you can't be for them on vacation is another 9 year old boy. Keeping company with a same-age peer can be fun for my son but let's speak the truth- it's liberating for me, even if it is just for a couple of hours. One of the major things that prevents me from talking a lot is word retrieval. I find that in new situations, I am slow to speak to my kids. We are so ingrained in our daily scheduled lives that even our vocabulary becomes somewhat stagnant. This is why I like Mini-Mouth. I feel like it is encouraging a child in a very pressured but positive way to come up with words that use the letters that were flipped over. 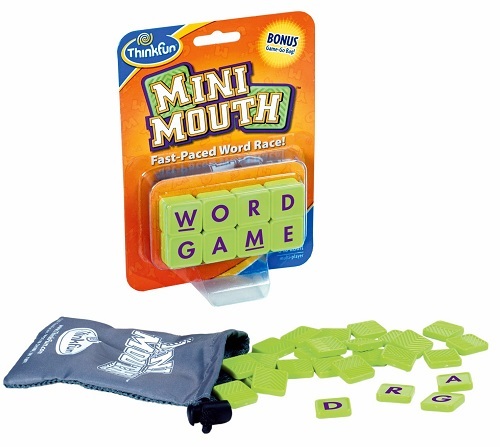 I find Mini-Mouth really interesting also because Number 1 dislikes sounding out words and isn't so hot on spelling either but whenever we play letter/word games with not only a tactile component but also a time pressure element, he is having a blast. I don't know what exactly is going on with this game but for sure, I think that letter tiles have a place in the upper grades, don't you... I mean come on.. is the Scrabble champion of the world a kindergartener? NOT! What scene will you remember most from your family vacation? Downtime scenes like this is what I remember. Okay everyone, here is the Skills Should Travel Outside of School Giveaway! It's a $100 value (Telestrations Bendy Men are actually not sold in stores) and only one person can win it all! This is way too much fun. If you don't try out, I'll be mad at you! 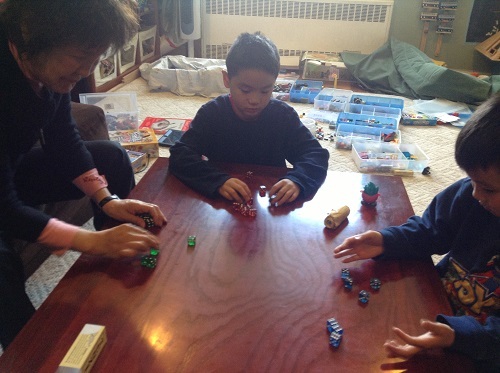 Playing games during your vacation will increase the likelyhood that Family Game Night will make a regular appearance on your calendar during the next school year. These Telestrations Bendy Men are here to remind all of us to keep on playing even after the vacation is over and that a Telestrations review is coming to Toys are Tools soon- we are playing with all of these games as fast as we can and as much as we can for you... I just write really slow. If you are Amazonian and want to support me when you shop travel games, check out my links and thanks in advance. Also note that many of these games are available in your neighborhood specialty toy store for which I am grateful because it is so fun to buy travel games from real stores, isn't it? Disclosure: Toys are Tools has not been compensated by the manufacturers of the mentioned products for the publication of this review. Review units were submitted to testers and experts to facilitate a review. Reviews are never promised. I loved mastermind as a kid. My kids are still to young for it but I look forward to playing with them when they are older. Imaginets are actually a favorite with our kids right now. Oh, you are brave! I don't think I can do it, even with all the games we have. But I am thinking that I will put them on a Minecraft restriction. I remember my friend had this game. I don't know if I played it with her but she had the original version with a couple on the photo. I have to find all the versions now. We are obsessed. 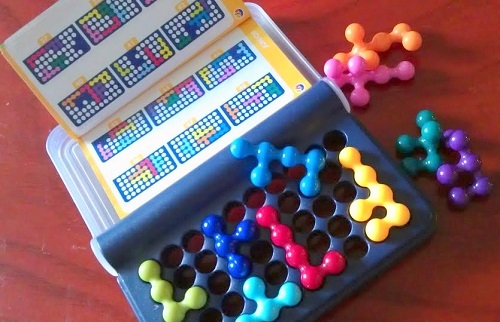 I don't know how old your kids are but I actually think ultimate mastermind could be easiest in terms of fine motor demands and basically, you can play by taking out rows and colors. There is a junior Mastermind too. I haven't tried that. I love mastermind! My only downside to it is losing all the little pegs. This post is so timely... we leave on a 2 week driving trip in just over a month. We will be taking a tablet and ipod touch. The touch is because I download audio books from the library and we can listen to them through the car radio. The tablet will be for the occasional movie for the boy. I'll most definitely be bringing it- have to keep blogging! The best things happen when there are no electronics around. Through some sort of unspoken magical connection, games, songs, creations, etc just start to flow from one person right on through the others (ages 1-101)! A simple thought, phrase, idea, sound will suddenly begin to grow and become an incredible production and a perfect forever memory. Take Polly's suggestion above. I think a baggy is a smart idea. The best place to play is on a flat surface and I'd only suggest that it be a magnetic game in the car because I really like how it forces us to be more agile with our hands. When I push those little pegs in, I realize right away how we don't practice this skill enough outside of handwriting which is so dreaded by many kids. 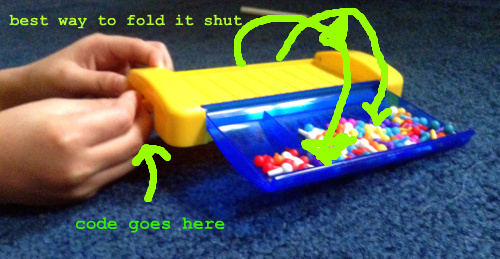 If you're the codemaker, which every kid wants to be, you have to use those little pegs all the time. part of me is jealous that you don't and part of me is saying, oh man, you should get yourself an iPad mini a.k.a my adult blankie. I know the feeling. We have two, an iPad 2 and a iPad mini. Each "belongs" to one child but really, the mini is MINE.... MINE... MINE... MINE! I wish I bought the one with more memory. argh!!!! 'tis very fun. younger ages can definitely play. you can blog from a tablet. you are way more skilled than me. i find it horribly frustrating. oh, and my kids and husband will scream at me if they see me working! have to go to the bathroom and sneak-work. it is the cutest thing, isn't it? we had the regular version forever. finally gave it away this year. very proud of myself for keeping all the pieces. you have patience to download audiobooks from the library. wow, I salute you. I just can not do it. I use LearningAlly.org. 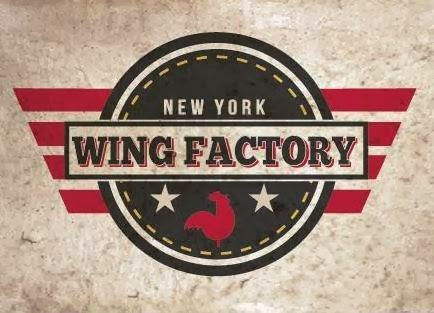 if you haven't tried it, I TOTALLY RECOMMEND YOU TRY NOW. RIGHT NOW. It's a gift to humanity. You'll see. So affordable! and btw, I LOVE LOVE LOVE The Story of the World by Susan Wise Bauer and narrated by Jim Weiss. My son loves it. Thanks Jenn, I'll be sure to check out both the App and the book suggestion. I don't find our library very difficult to download from and I love that it's free! I like the Mini Mouth game. I have never seen it before, but I think it would e a lot of fun to play with the kids, and would provide much needed practice using words. Maybe it would even get them to open a dictionary. I loved this travel games, Strolling Bowling, that my family had in the 80s: http://www.amazon.com/Classic-Strolling-Bowling-Sababa-Toys/dp/B000RF7U8S No loose small parts, unlike my Travel Battleship!